Søren has been our chief since bootstrapping Tetramer Shop from the original technology development at Jacobs University, Bremen and Technical University of Denmark. Søren is a strong believer in development of new technologies and that these should offer solutions that will target, influence and resolve real problems for real people, customers and businesses. To do this, Søren bridge between true technology needs and the translation of innovative discoveries into applied services and products. Søren has helped create foundational IP, platforms, products and services at companies such as Novo Nordisk, Nuevolution, Immudex and ImmuMap Services. 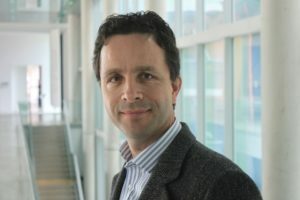 He is the inventor/co-inventor of several filed, issued and licensed patents on molecular-display techniques, molecular selection and high-throughput screening techniques as well as technologies for detection, manipulation and expansion of antigen-specific T cells. Søren is also the founder of ImmuMap Services. Professor Sebastian H. Springer, Jacobs University in Bremen, Germany, is the inventor of the technology on which Tetramer Shop is based. Sebastian is a world-renowned scientist in the area of the cell biology and biochemistry of the antiviral and antitumor immune defense. He worked for his PhD with Professor Alain Townsend at the University of Oxford, and as a postdoctoral fellow with Professor Randy Schekman at the University of California, Berkeley. Sebastian’s group made major contributions to understanding the folding, peptide binding, quality control, cell surface transport, and regulated endocytic destruction of MHC (major histocompatibility complex) class I proteins. In addition to his basic research, Sebastian has recently also developed and patented new tools for the immunotherapy of viruses and tumors using peptide exchange on MHC class I proteins and disulfide-stabilized MHC class I proteins. Sebastian is a highly rated supervisor and amongst others the former supervisor of one of the world’s most influential science communicators Hashem Al-Ghaili. Professor Sine R. Hadrup, Technical University of Denmark has been central in establishing proof-of-principle and further developments of the technology on which Tetramer Shop is founded. During her postdoctoral fellowship with Ton N Schumacher at Netherlands Cancer Institute Sine invented the principle of parallel detection of antigen-specific T-cell responses by multidimensional encoding of MHC multimers later described as combinatorial encoding or combicoding. Recently, Sine has advanced these techniques significantly by the development of novel multiplex strategies for T cell detection. Most significantly, the technologies developed in her research group has changed the paradigm for T cell detection by introducing the use of molecular tagging systems (DNA barcoding). Sine and her group is currently using this technology to unravel the immune reactivity in autoimmune disease and towards cancer as well as understanding the influence of cancer therapy on the immune recognition fingerprint in individual patients. Sine is determined to understand the relationship between tumor genetic heterogeneity and immune recognition. 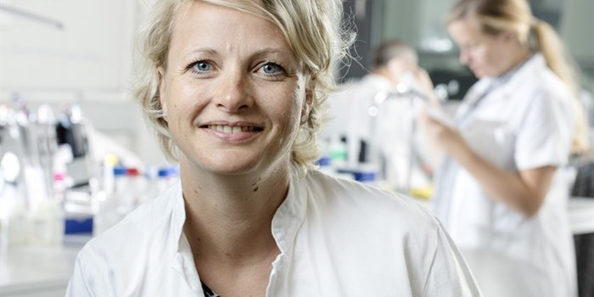 To do this Sine and her group constantly develop novel technology platforms that allow in-depth understanding of T cell recognition from a structural perspective. These tools can be used for evaluating clinical efficacy and safety profiles of T cell receptors for clinical use. Sine is the inventor of several filed, issued and licensed patents on multiplex T cell detection and manipulation of antigen specific T cells. Sine is also founder of ImmuMap Services. Dr. Sunil Kumar Saini, Technical University of Denmark is co-inventor of the core technology of Tetramer Shop. 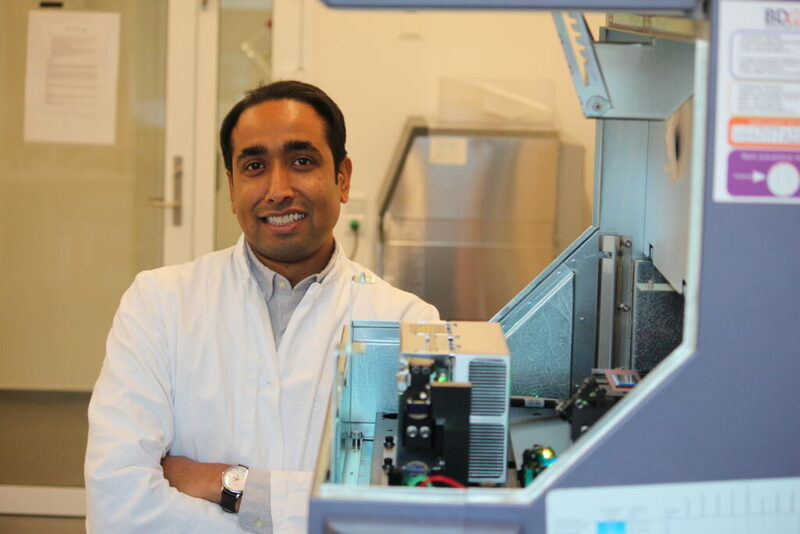 During his postdoctoral fellowship in the group of Professor Sebastian Springer, Sunil, discovered the feasibility of folding MHC class I molecules using dipeptides and combined this technology with disulfide-stabilized MHC class I molecules. Later Sunil bridged the collaboration between the initial inventions in the Springer lab towards utilizing this basic discovery for technological improvement in antigen-specific T cell detection in the Hadrup lab. Sunil continuously engages towards technological advancement for T-cell detection approaches, which include development and application of empty MHC class I and II molecules for high throughput MHC Tetramer preparation and T-cell analysis.